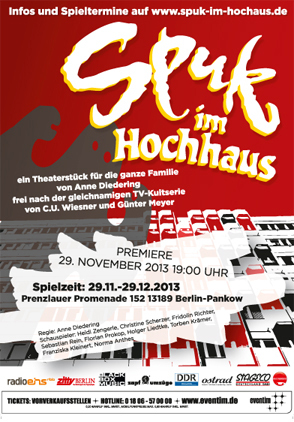 Spuk im Hochhaus is going to be a site specific theather in an abandoned skyscraper in Berlin. 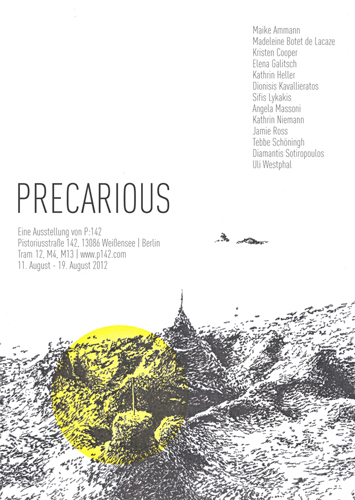 Precarious was a sight specific exhibition at P:142, an artist run house project and artist in residency program, which is endangered of being swallowed by the city's exploding real estate market. 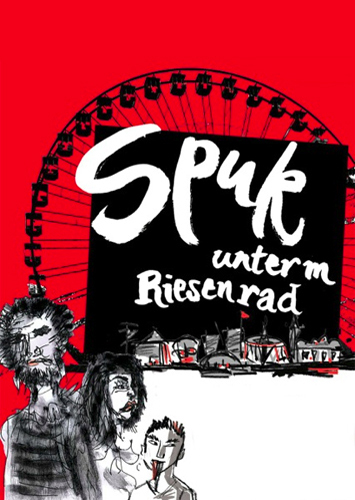 Spuk unterm Riesenrad was a sight specific theater at Spreepark, an abandoned amusement park in Berlin. on the Stralau Peninsula, Berlin in 2008. 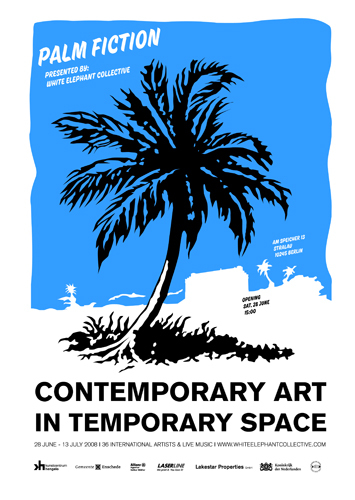 Work by 36 international artists was shown on 3600 m². 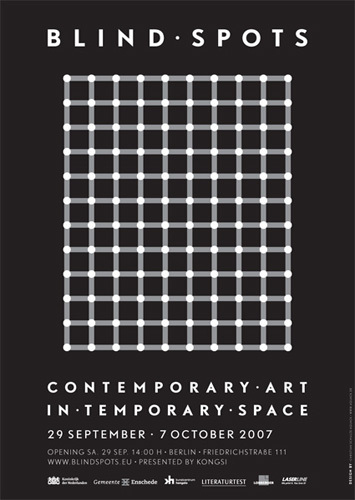 Kongsi Netherlands and Kongsi Berlin in 2007.